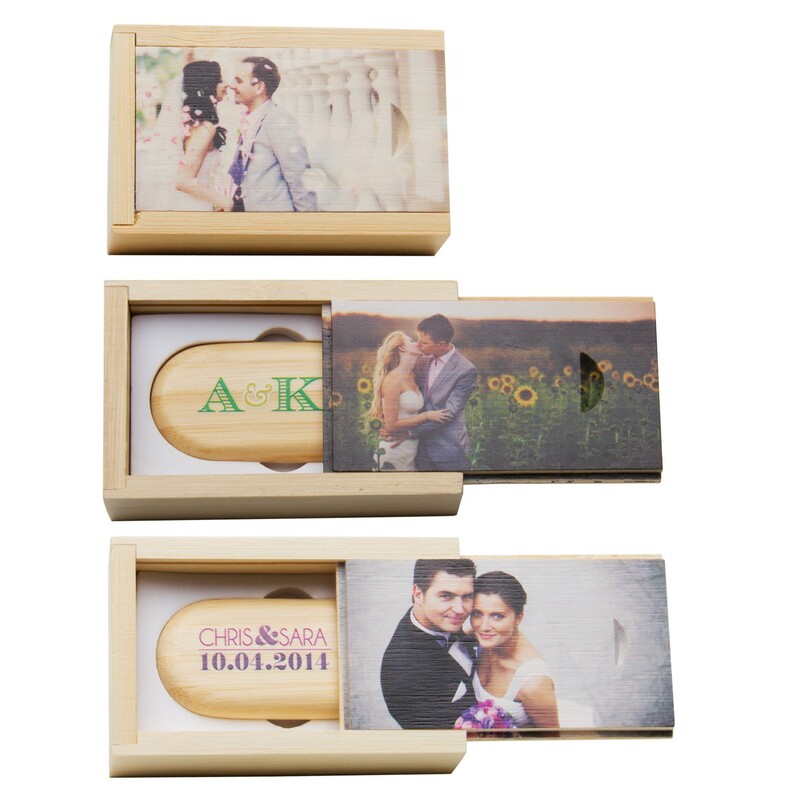 Customize with a photo of the wedding couple or their name! Please send artwork to web@neilenterprises.com. The image needs to be 300 DPI and 1.563" x 2.938". Remember to include your order number in the e-mail. Looking to order 6 or more with the same imprint? Click here. 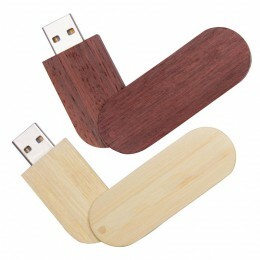 Can you make it on 16 or 32GB flash drives? and how much will it be ? At this time we only carry an 8GB version. 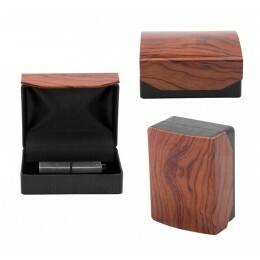 I would like to order one of your Personalized Single Bamboo 8GB Flash Drive and Box Sets as a sample....but I can't figure out how let you know what I would like on the drive (my company logo or possibly the couple's wedding date). Also...is there a way that I can preview the photo going on the front of the box before I submit my order? You can upload your logo under where it says ART (there's an upload button) OR you can email your artwork to art@neilenterprises.com. We will send you a proof that shows what your artwork looks like on the item and you're more than welcome to make changes. We will not proceed with printing the flash drive box until you approve the proof.